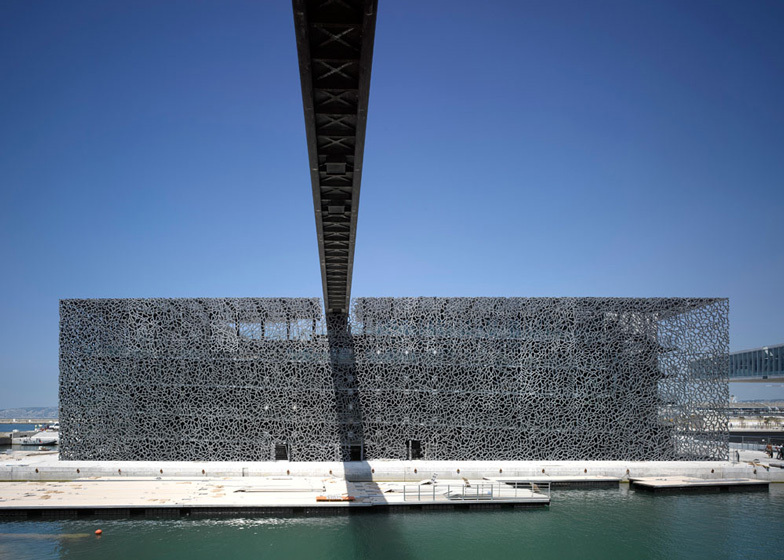 Photographer Edmund Sumner has revealed initial images of the filigree-clad Museum of European and Mediterranean Civilisations (MuCEM) by architect Rudy Ricciotti, which was opened last June on Marseille’s waterfront. 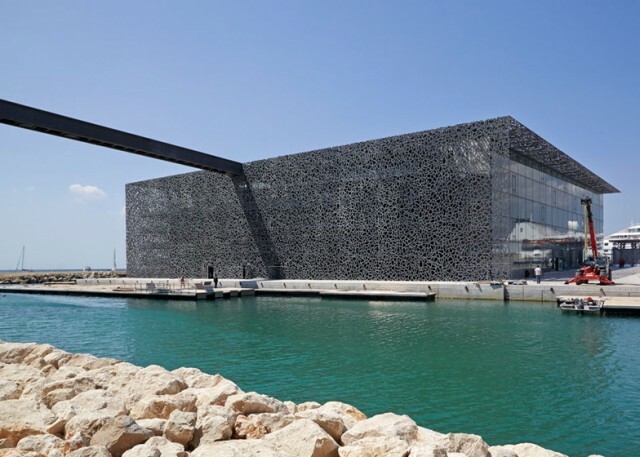 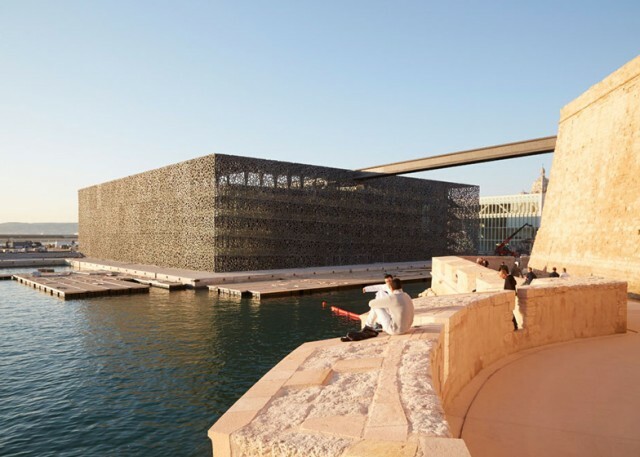 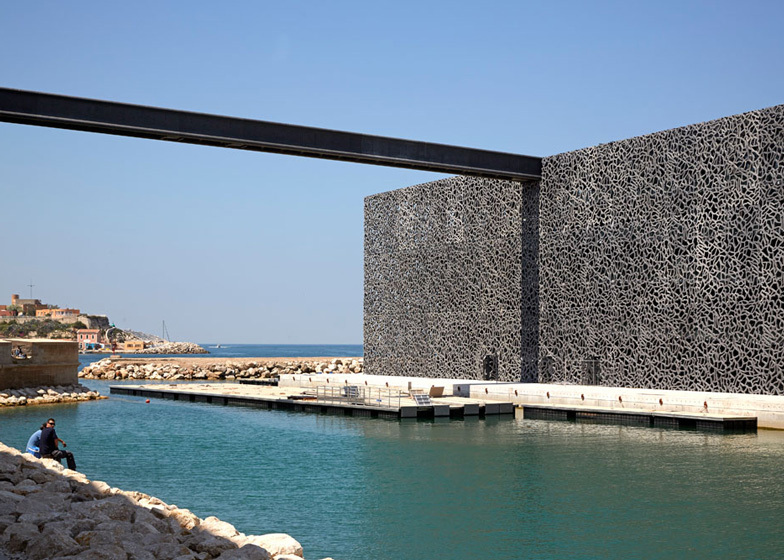 Tying in with the French city’s designation as European Capital of Culture 2013, MuCEM is one of several civic buildings set to open there this year and will be dedicated to the history and cultures of the Mediterranean region. 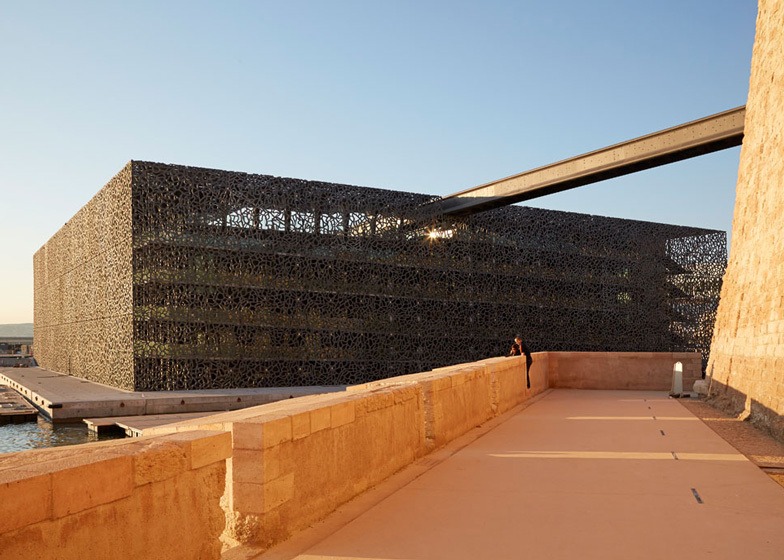 Ornamental concrete shrouds the glazed exterior of the museum like a lacy veil, moderating light through to the building’s two exhibition floors. 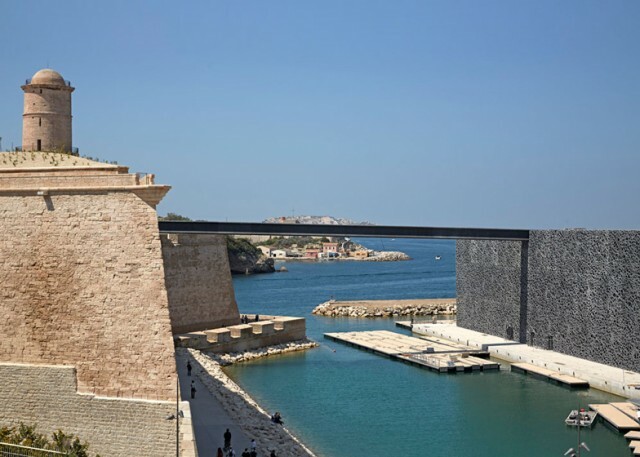 Meanwhile, an inclined walkway bridges out from the roof the building to meet Fort Saint-Jean – a seventeenth-century stronghold that will also house museum exhibitions – before continuing on towards the Eglise Saint-Laurent church nearby. Rudy Ricciotti describes the building as a “vertical casbah”, referring to its arrangement on the harbour. “Open to the sea, it draws a horizon where the two shores of the Mediterranean can meet,” he says. El uso de parte de la fachada como una tela-manto es más que curioso. 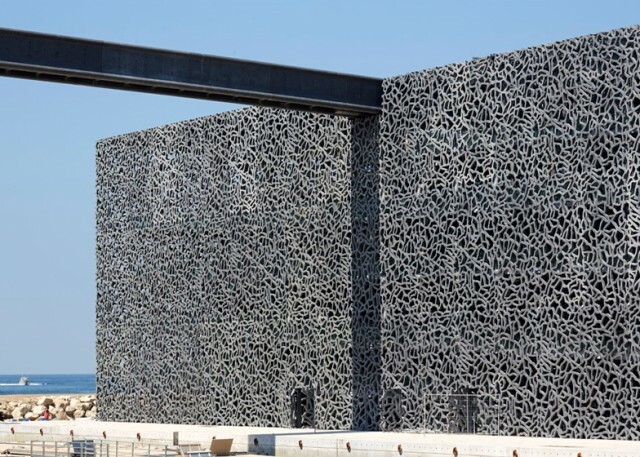 Parece que la balanza se posiciona cercana a la estética más que a la funcionalidad aunque sin se mira con detalle se pueden apreciar los objetivos de las decisiones tomadas. 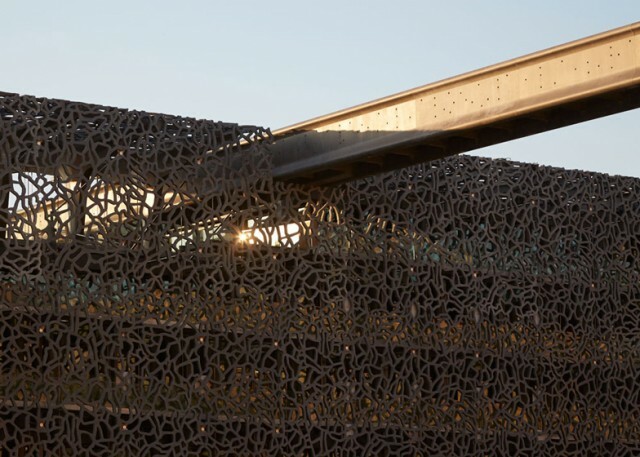 El elemento viga-puente-paso singulariza el conjunto. Se hecha en falta alguna foto nocturna, serían muy interesantes con toda seguridad. BUEN TRABAJO. 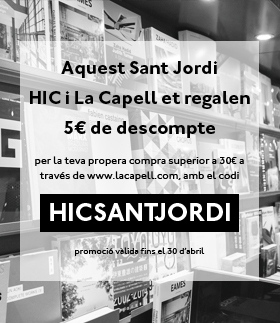 Enhorabuena desde Barcelona.